The largest winter resort entertainment for children and skiing for beginners Donovaly is a leader in Slovak family winter holiday in the mountains. Altitude 915 m Donovaly village is a guarantee of natural snow in addition to fuse artificial snow up to 60% of the 11 km track, children's attractions, ski school, rental equipment. Family skiing in Slovakia. 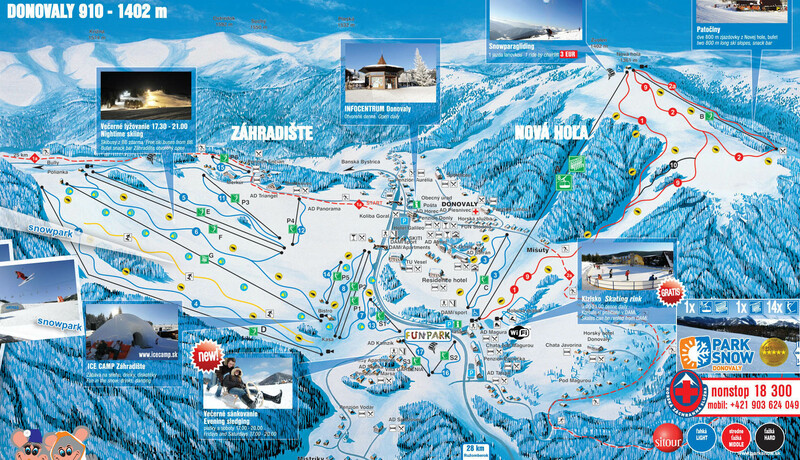 Slovakia is rich in many smaller resorts that you can enjoy, spread all over the country. If you want to check other ski vacations - possibilities of skiing Slovakia you can go ahead and check winter holiday in Slovak ski resorts on following website - Skiing Slovakia.